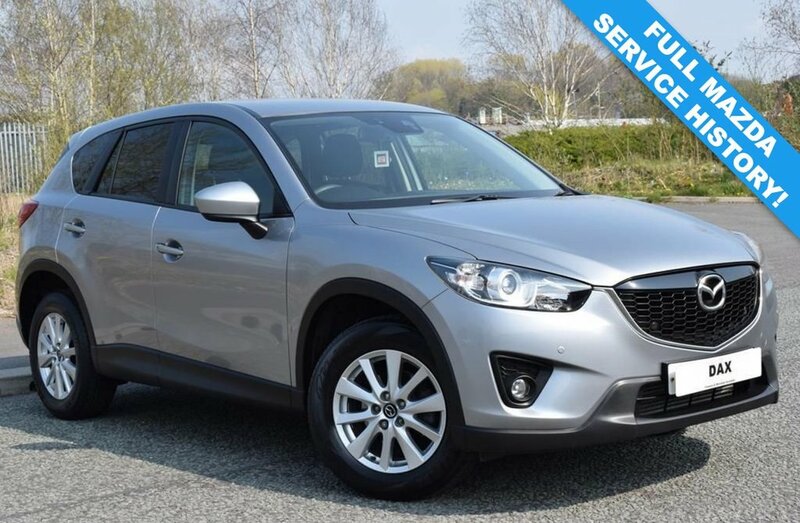 We Are Delighted to Offer This Fantastic Mazda CX-5 2.2D SE-L NAV 2WD Presented in Metallic Silver and Backed Up By a Full and Up to Date Mazda Main Dealer Service History and 2 Keys. This is a Lovely Example With Just 1 Previous Owner and Maintained to The Highest Of Standards. The Car is in Fabulous Order Both Inside and Out and Drives Very Nicely Thanks to It's Comprehensive Full Mazda Service Record Which Reads As Follows: PDI, 11681, 22064, 33831, 47442 and 62391. A Fresh 12 Months MOT is Supplied On Order Offering The New Owner Maximum Peace of Mind. SPECIFICATION INCLUDES: SAT NAV! PRIVACY GLASS! PARKING SENSORS! DAB RADIO! BLUETOOTH! CLIMATE CONTROL! CRUISE CONTROL! ALLOY WHEELS AND MORE!